That's it for Thursday, thanks for spending time with us today. We'll be back from 06:00 BST tomorrow to help you through Friday, all the way to 22:00 BST. You can get in touch with us on Twitter, on Facebook or by sending us an email. A Ramsgate teenager caught the man who attacked her by using her mobile phone. But would it have happened if there had been better street lighting? A mole on an ear became a lethal cancer for this man from Kingsdown near Deal. Now he wants his story to be a warning for others. Migrants trying to cross the Channel are using increasingly sophisticated and desperate methods, with attempts foiled in the air and on the water. A doctor diagnosed Lauren with a condition that only affects about 60 people out of every million, just by looking at Facebook. Video caption: A doctor diagnosed a rare tumour just by looking at Facebook.A doctor diagnosed a rare tumour just by looking at Facebook. A cannabis operation, which included two farms in Kent, was the largest yet discovered in the UK, according to police. I'd suggest your weekend plans include something indoors for Saturday. The animals killed or maimed by the irresponsible use of airguns, with the South East one of the worst areas of the country for attacks. From being the only girl in a boys' team in Sandwich, to being Player of the Tournament in England's World Cup winning side, opening bat Tammy Beaumont is putting women's cricket on the map. Investigations are continuing into the death of Taiyah Pebbles. A206 Kent both ways severe disruption, at A282 affecting M25 J4. A206 Kent - One lane closed and queuing traffic on A206 Littlebrook Interchange in Dartford at the A282 junction, because of emergency repairs to a collapsed gully. On the roundabout. Congestion on A21 to Orpington and to the Marsh Street junction. The country's most overcrowded train is a Southern service running through Sussex and into London, new figures reveal. The 07:16 service from East Grinstead to London Bridge typically squeezes 1,366 people into a dozen carriages designed for 640. The Department for Transport, which released these figures, said additional carriages cannot be added to the train but when the Thameslink Programme is completed next year there will be extra services on routes south of London to boost capacity. It's not the only local service to face overcrowding, the 06:57 Brighton to Bedford and 16:26 Bedford to Brighton trains both feature in the list of the 10 busiest trains in England and Wales. The figures relate to standard class passengers on weekday services in autumn last year. The average proportion of passengers carried in excess of capacity on peak services in major cities was 3.8%. People are rightly angry that they pay more in fares year after year, but never get a seat, and have to stand crammed into someone else's armpit. With such high levels of overcrowding, the Government cannot expect people to pay for yet another fares hike in January." The cloud's lifting to give us a nice afternoon. 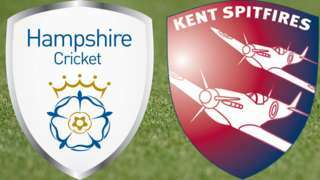 Follow live BBC radio commentary as Hampshire face Kent in the T20 Blast. Calls to the RSPCA complaining about unscrupulous puppy sales have risen in the South East. About 100 people took part in a protest outside Tunbridge Wells Town Hall last night, angry over council plans to redevelop the area. People had to be turned away from a full council meeting discussing proposals to build a new civic centre, theatre and car park near Calverley Grounds. The council says the regeneration plans will be available for public consultation. A21 Kent both ways severe accident, between Cuckoo Lane and A262. A21 Kent - A21 in Lamberhurst blocked and queuing traffic in both directions between the Cuckoo Lane junction and Forstal Farm Roundabout, because of an accident. 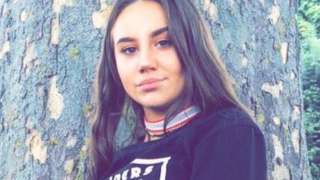 Taiyah Peebles was found dead on railway tracks at Herne Bay station on Wednesday morning. Almost £1m of lottery funding is to be spent on helping protect endangered bumblebees in Kent. The Making a Buzz project will create a habitat for bees and other pollinating insects across 400 hectares. Kent is a hot spot for the rarest of bumblebee species. The Bumblebee Conservation Trust says they're crucial to the local economy and fruit industry.